His voice has been a part of the Milwaukee radio airwaves for the past two decades. You may have also seen him on WISN, Channel 12. Van McNeil, a native Midwesterner, took a short one-hour drive north in 1997; fell in love with a beautiful place called Wisconsin and made it his home! He’ll get you home with lots of music, fun and useful information weekday afternoons from 3pm – 7pm on 101.3 WIBD and AM 1470.
the Midwest playing the hits and reporting on various events and pop culture information along with producing audio, video and written / digital content for various platforms on a local and national level. He volunteers his time to various charitable events throughout the Midwest and serves on the executive board of the This Time Tomorrow Foundation, an organization that uses music and the arts to help and inspire those dealing with cancer. 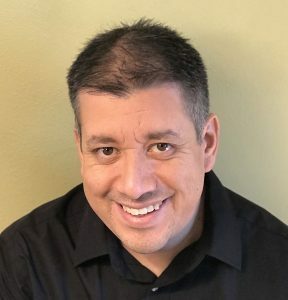 He also serves as the Public Address Announcer for the Milwaukee Wave Professional Soccer Team and the Milwaukee Milkmen Professional Baseball Team. with family and friends, cooking, wine drinking, home improvement, hiking, biking, bowling, baseball, camping, disc golf, video games, tennis, pinball and more… LOTS more!